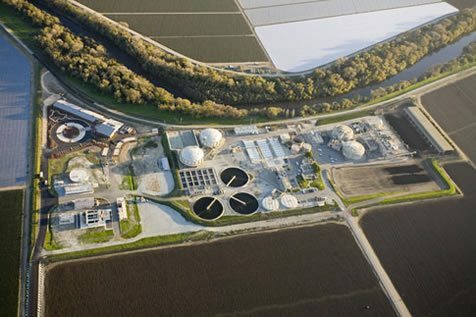 The Pajaro Valley Water Management Agency (PV Water) is a state-chartered water management district formed to efficiently and economically manage existing and supplemental water supplies in order to prevent further increase in, and to accomplish continuing reduction of, long-term overdraft. The agency also works to provide and ensure sufficient water supplies for present and future anticipated needs within its boundaries, generally the greater coastal Pajaro Valley. The purpose of the Agency has remained essentially unchanged since its creation in 1984. In 1980, the State Department of Water Resources issued Bulletin 118-80, which identified 447 separate groundwater basins, sub-basins and areas of potential groundwater storage throughout the State. More importantly, the Bulletin identified the Pajaro Valley basin as one of just eleven basins with critical conditions of overdraft. Community leaders in the area recognized that local management of the basin was needed to halt seawater intrusion, which was impacting the groundwater supply for large areas of coastal farmland as well as domestic water supply wells. They also recognized that no single agency had the jurisdictional authority to manage the entire groundwater basin which overlaps four major jurisdictions: the City of Watsonville, Santa Cruz, Monterey and San Benito counties. The Agency’s boundaries were drawn as closely as possible to match the same basin boundaries described in Bulletin 118-80. See Agency Boundary Map. An ad hoc group of local stakeholders formed and began meeting weekly over a period of several months to develop the new agency’s goals and draft the state legislation necessary to form a new water management entity. State Senator Henry Mello spearheaded the required legislation in Sacramento. A local ballot measure to establish the Agency was approved by the local voters in the November 1984 election, which officially established PV Water as a new state-chartered water management agency. Section 102 of the Agency’s Charter states: "Water resource management activities carried out under this act in the public interest shall recognize the following objectives: (a) Local groundwater resources should be managed toward the avoidance and eventual prevention of conditions of long-term overdraft, land subsidence, and water quality degradation. (b) Local economies should be built and sustained on reliable, long-term supplies and not long-term overdraft as a source of water supply. 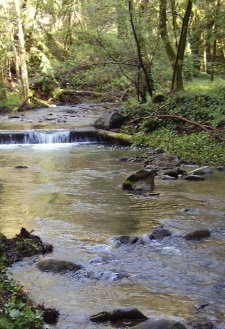 (c) Water management programs should include reasonable measures to prevent further increases in the amount of long-term overdraft and to accomplish continuing reduction in long-term overdraft, realizing that an immediate reduction in long-term overdraft may cause severe economic loss and hardship. (d) Conservation and economically efficient management of water resources are necessary to meet the needs of agriculture, industry, and urban communities. Economic efficiency requires that water users pay their full proportionate share of the costs of developing and delivering water. Property taxes shall not be used for payment of these costs. Agricultural uses shall have priority over other uses under this act within the constraints of state law. (e) Water conservation programs appropriately include the ability of a water management agency to recognize existing beneficial uses, and to acquire, buy, and transfer water and water rights in the furtherance of its purposes. (f) The purpose of this agency is to efficiently and economically manage existing and supplemental water supplies in order to prevent further increase in, and to accomplish continuing reduction of, long-term overdraft and to provide and insure sufficient water supplies for present and anticipated needs within the boundaries of the agency. (g) It is anticipated that long-term overdraft problems may not be solved unless supplemental water supplies are provided. The water management agency should, in an efficient and economically feasible manner, utilize supplemental water and available underground storage and should manage the groundwater supplies to meet the future needs of the basin." While PV Water has the authority to manage groundwater resources in the basin, PV Water's activities typically focus on halting seawater intrusion by balancing the overdraft conditions in the basin. For example, the Agency’s charter specifically prevents supplying potable water, which is intended to remain the responsibility of local water purveyors. Therefore, all Agency projects considered and approved in the Basin Management Plan only supply non-potable (irrigation) water. Agency activities do not include flood control, stream restoration or habitat management (except as mitigations for Agency projects), which are the responsibility of state and/or county jurisdictions. Agency Enabling Act for the Agency's enabling legislation as found in the California Water Code. Agency Boundary Map and Electoral Divisions for an inteactive map of the Agency's boundaries. Revised Basin Management Plan (2002) page for Revised BMP documents, FAQs and BMP Project information. Basin Management Plan Update (2014) page for updated BMP documents, FAQs and BMP Project information. Pajaro River Watershed Integrated Regional Water Management: Link to Water Management Plan, updated August 2014.